We used our LEGO Wedo kits to do some basic programming with LEGO. Those of us who go to LEGO club do lots of work with LEGO but today everyone had a chance to try it out. Coding with the programmes from Hour of Code is so much fun. Today we did some simple Angry Birds coding. We had lots of fun coding with Scratch today during EU Code Week. We had a lot of fun making lines, squares and adding interesting pen colours and sounds. We did some coding with Kodable. We like this programme because we can use it on our iPad or laptop. We are very good at coding! 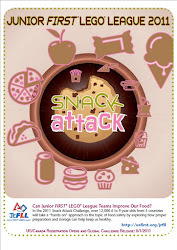 On Tuesday the 16th of April, the Lego Club participated in Junior First Lego League in the Radisson Hotel. We had to build an invention to help make the environment better and to show people how to be waste wise. We were interviewed and did our school proud. We had lots of fun too.